Kenny returns in this all-e-mail episode! 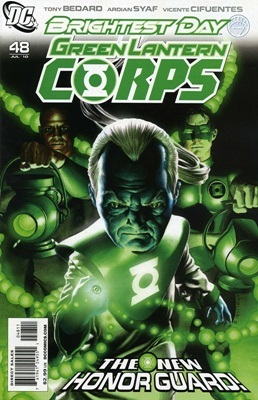 After spending about a month on assorted special episodes, the boys sit down and read a slew of them all at once — comments on Blackest Night, Lost, The Hulk, thoughts on Siege and much more! And since Kenny hasn’t read comics in a while (and Daniel doesn’t read them at all), Blake and Mike each double up on their picks — this week, Legion of Super-Heroes #1, Superman/Batman #72, Atomic Robo #3 and Booster Gold #32! Contact us with comments, suggestions, or anything else at Showcase@comixtreme.com! Everything But Imaginary #352: How Do You Solve a Problem Like the Titans? Responding to recent requests, this week the boys talk some TV. The guys talk about the entire season of Lost just before we head into the last two episodes, including which questions have to be answered, which ones probably won’t, and predictions for the end of one of their favorite shows. Then, Blake and Daniel delve into the current series of Doctor Who — the reign of Steven Moffat and Matt Smith, why they’re loving this series so much, and what they’re looking for in the second half. Fear not though, friends, you still get a comic fix. In the picks of the week, both of the Big Two’s “new directions” are addressed. Mike goes with Brightest Day #1 (which leads into a tangent about Titans: Villains For Hire #1) and Blake takes The Heroic Age: Prince of Power #1. Contact us with comments, suggestions, or anything else at Showcase@comixtreme.com! Geoff Johns, mastermind behind Blackest Night, joins with his Green Lantern-universe writing partner Peter J. Tomasi to write this year-long biweekly maxiseries that spins out of the events of the final issue of Blackest Night. 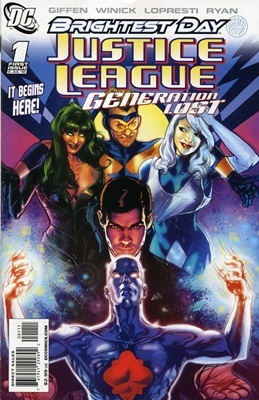 In this zero issue, we begin with Boston Brand, formerly Deadman, one of the twelve characters brought back from the dead in that previous storyline. Unlike the rest of them, however, Boston was never a force in his life. He didn’t become a hero until after he died, and the new “Aliveman” (as Johns has taken to calling him online) doesn’t quite know what to do with himself. 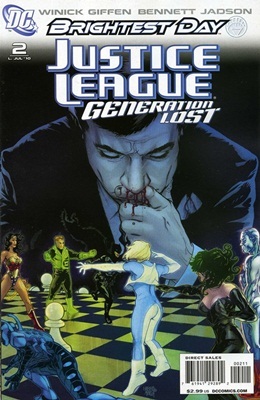 That choice seems to be made for him as the White Lantern ring that brought him back from the dead takes him on a tour into the lives of the other 11 men and women who came back from beyond the grave and, at the end, gives him the first glimpse of just what the mission of his new life may be. 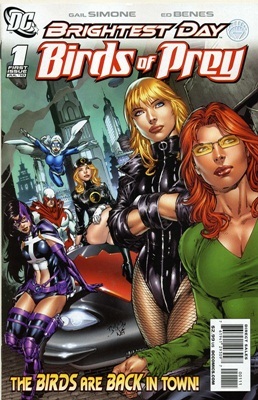 Fernando Pasarin does the art for this issue, although with a biweekly series I imagine that there won’t be one “regular” artist, but probably several rotating pencilers and inkers taking turns to get this series out on time, much as was done on the previous weekly comics 52 and Countdown. I really like Pasarin’s artwork — it’s strong, traditional superhero art that works for the bright heroes (and the dark villains) we see herein. This is a solid beginning. Brightest Day is going to be a long road, but Johns and Tomasi got it off on the right foot. Or, more accurately, The Flash (Vol. 3) #1. While I understand why this book has been relaunched with a new first issue instead of just continuing the numbering of the previous series, that’s a pet peeve of mine in the comic book universe. 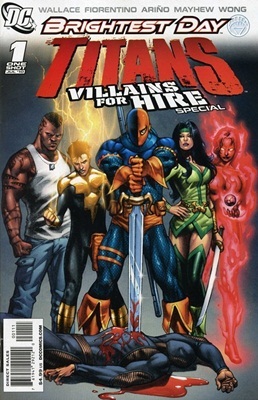 This is, however, at least better than what they’re about to do with Green Arrow. 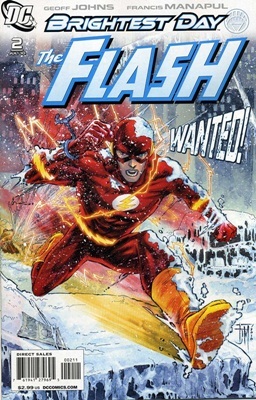 But I digress, Geoff Johns re-teams with his former Adventure Comics partner Francis Manapul for the new ongoing adventures of Barry Allen, the Flash. 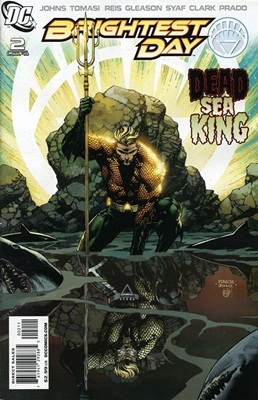 Barry was recently returned from the dead himself (well… recently in DC Universe time, it’s been nearly two years in the real world since his return began), and as his new series kicks off we see him trying to re-acclimate into his life. Johns has a pretty plausible story for him to tell his former friends and co-workers about where he’s been all these years, and Barry wastes no time getting back into the mix. 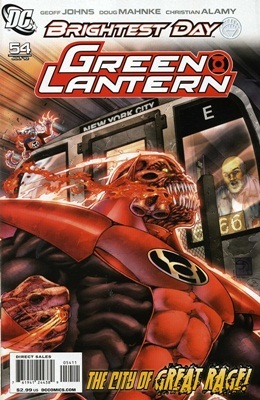 The story really kicks into gear when a murder victim is found in the middle of Central City wearing a costume similar to that of Barry’s old foe the Mirror Master. As he tries to look into the stranger’s death, he finds that he isn’t the only one investigating… and with Mirror Master down, the rest of the Rogues can’t be far behind. Johns does a wonderful job capturing the flavor of Barry Allen in this book. While a lot of people — fairly — miss Wally West (Barry’s former sidekick who took the top job in the nearly 25 years since Barry’s “death” in Crisis on Infinite Earths), Johns has really conveyed who Barry is and what makes him different from Wally. The relationship between Barry and his wife, Barry and his coworkers, and Barry and his enemies is all clearly defined. What’s more — as Johns so often does — he takes great pains to characterize not just the hero, but his city as well. Central City is a place concerned with speed, with getting everything done fast. And that seems a perfect fit for the scarlet speedster. Can I say how much I love Francis Manapul’s artwork? His linework, with beautiful colors by Brian Buccellato, is unlike anything else you see in a modern superhero comic. The book has a sort of washed look to it that gives it a timeless feel. The story you’re reading could have been told twenty years ago, it could be told twenty years from now, and it will fit in just perfectly. 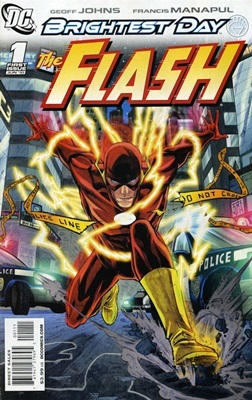 As he often does, Johns ends this issue with a teaser from an upcoming storyline, Flashpoint, which is promised to come in 2011. 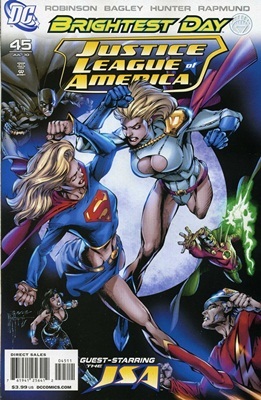 Johns will apparently be telling this story with artist Andy Kubert, although whether this is a storyline in this title, a crossover with other titles, or its own miniseries remains unknown. I love when Johns does this, though. The first time was back at the end of Sinestro Corps War, when he first teased a little something called Blackest Night, and since then he’s stepped up several times to give us teases. 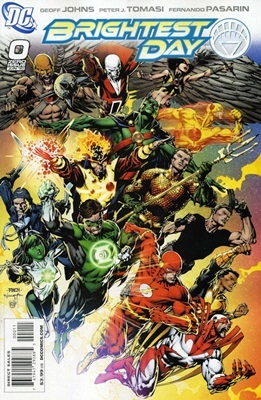 This tease features a clock running out, Barry with Professor Zoom’s costume, something happening to the other speedsters, and glimpes of Paris underwater, a red-eyed Batman, an armored Wonder Woman in front of a flaming Big Ben, soldiers protecting a bunker sporting Superman’s S-shield, and a white-gloved hand wearing a White Lantern ring. Curiouser and curiouser. Whatever it is, Johns has proven himself to me time and again, so I can’t wait to see it. The marching band is coming onto the field, the coach is giving the Justice League a much-needed pep talk, and the fans have gone to pee. That’s right, it’s the Blackest Night Halftime Show! With the fourth issue of the eight-part epic on the stands, this week Blake and Kenny sit down to talk about the story so far, the various tie-ins, and make their predictions for the second half of DC’s best event in years. In the picks this week, Kenny goes with Vampire Hunter D: Stuff of Dreams and Blake digs the new Fables spin-off miniseries, Cinderella: From Fabletown With Love. Contact us with comments, suggestions, or anything else at Showcase@Comixtreme.com!